Né le 20 Juin 1968, de nationalité djiboutienne, NIMAAN Abdillahi a effectué une Maîtrise d'Electronique et d'Automatique en France à l'Université de Nice Sophia-Antipolis et puis un Diplôme d'Etudes Approfondies en Robotique (Reconnaissance automatique des formes) à l'INSA de Lyon en 1994. Directeur de l'Institut des Sciences et des Nouvelles Technologies de Djibouti des 2002, il lance en collaboration avec le Laboratoire Informatique d'Avignon, un programme de traitement automatique des langues Africaines, dans le but de rendre plus accessible le patrimoine culturel audio de ce continent. Mr. NIMAAN achève actuellement un doctorat dans ce domaine. Il a participé à plusieurs conférences internationales (Journées d'Etudes sur la Parole au Maroc en 2004 ; Journées d'Analyse des Données Textuelles à Besançon en 2006) et a publié plusieurs articles scientifiques (Boîtes à outils pour des langues peu informatisées : le cas de la langue somalienne in JADT 2006 ; Towards Automatic transcription of Somali language in LREC 2006 ; Reconnaissance automatique de la Parole en langue Somalienne in JEP 2006). Dawit Bekele has a Ph.D. in Computer Science from the University of Paul Sabatier in France. 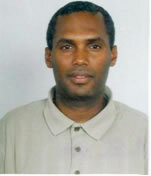 He has served as head of the department of Computer Science of Addis Ababa University, Ethiopia, from 2002 to February 2006. Currently, he is an assistant professor at the same University. In addition to his teaching and administration activities, he has been highly involved in research and development. His area of interest include localization, especially around Amharic, the Ethiopian national language. Dawit Bekele is also an advocate of Free and Open Source Software; he is the coordinator of EFOSSNET, an association that promotes Free and Open Source Software in Ethiopia. Mr. Koan Cho is the CEO and Founder of Digital Names, a leading Korean language Internet Names company in Korea – promoting Keywords and Domains. He also is CEO of DMI Corp. a company specializing in Computer Network Systems and Service. He is a graduate of New York University’s Leonard Stern School. From high school days he has continued to split his time between New York and Seoul, South Korea. He owns several issued patents in computing with a Korean-language focus ranging from – various easy-to-use Korean Keyboard input systems and Internet-based foreign exchange transaction methods – and some patents without a computing focus like one for a Variable Ratio Steering System. In particular, he is the inventor and holder of an issued Korean patent on Korean language Keywords, which has been licensed, to his company as well as his competitors in Korea. As such he is the “father” of non-English multilingual Internet Keywords. Some of his other patents have been licensed to leading US and Korean hi-technology giants like AOL and Seoul Mobile Telecom. Previously in his life, he ran for a number of years his family’s substantial gas boiler business in Korea. Tina Dam is ICANN’s Director for IDN Programs. In this capacity Tina is responsible for all IDN related program at ICANN, including the project for testing of internationalized top level labels, the continued development of the IDN Guidelines, and maintenance of the IANA repository for IDN TLD practices. Tina also serves on several IDN related working groups in the community and is tasked with furthering the education of ICANN’s domain name internationalization efforts in the Internet community. Tina is also ICANN's gTLD Registry Liaison. The gTLD Registry Department is responsible for issues concerning compliance with the requirements of agreements between ICANN and registry sponsors and operators. This department is also in charge of evaluating requests for new services from registry sponsors and operators, assisting in the launch phases of newly introduced registry sponsors and operators, as well as building and maintaining relationships with those entities. Tina has executive-- level experience at the ICANN-accredited registrar Ascio Technologies (formerly known as SpeedNames). At Ascio, Tina's principal responsibility was handling registry relations. Tina also oversaw Ascio's launches of the .biz, .info, and .name top-level domains, and managed the development of all internal and external products and product marketing materials. Prior to Ascio, Tina was the Systems Architecture Engineer at Navision Software a/s, establishing the architecture design of the company's next generation of products. Navision was acquired by MicroSoft (Nasdaq: MSFT) in 2002. Professor T. Della Senta has been with the United Nations University in Tokyo from 1988 to 2000, at first as Director of Planning and Development, and then as a Vice-Rector. He is the founding Director of the Institute of Advanced Studies of the United Nations University, in Tokyo (1995 - 2000), where the UNL was born, and the founding president of the UNDL Foundation. His entire professional life has been associated with the world of knowledge. With a Doctor degree from Harvard University, and a Master’s from the Institute Catholique de Paris he crosses various intellectual disciplines and cultural environments. He worked as university professor and served in high-level functions, both within the Ministry of Education and at the National Council of Science and Technology in his home country, Brazil. Prof. Della Senta is the author of number scholarly and technical papers, as well as institutional, regional and national development plans in Brazil, and at United Nations University. He is also co-editor of four books: UNL, a Gift for a Millennium, UNU/IAS, 1999; Access to Knowledge, the Emergence of the Virtual University,	Oxford University Press, 2000. No Matter, Never Mind: Proceedings of Toward a Science of Consciousness Fundamental Approaches Paperback /389 Pages/John Benjamins Pub Co/March 2002; UNL The Universal Networking Language, UNDL Foundation, Geneva April 2006. As a linguist and Senior Researcher at the Centre national de la Recherche linguistique (CNRS) in France , he leads a program of the laboratory “Language, Langues et Cultures d'Afrique noire” on the development and standardization of African languages. He is specialized on the study of the Sango language, one of the two official languages of the Central African Republic where he was born on November 9th 1944. With special application to Sango and African languages, he studied issues of general interest for language development and standardization such as writing systems, orthography devising, cultural terminology for emerging languages, computer processing of natural languages and African language policies for multilingual education and nation-building. Sabine Dolderer is a Director and member of the Executive Board at DENIC eG, where she is responsible for the business and technical services for the Top Level Domain (TLD) .de registry in Frankfurt, Germany. Ms. Dolderer has been with DENIC since its inception – beginning in 1994 when it was managed by the University of Karlsruhe computing center, and through its founding as a cooperative in 1997. She was General Manager of DENIC from 1997-2001, and has served in the position of Director since then. 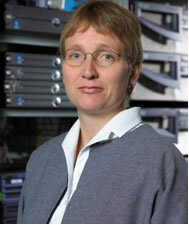 Ms. Dolderer worked from 1990-1997 as a scientific assistant at the University of Karlsruhe computer center, where she was responsible for central communication services such as e-mail, news, and Internet access. In 1994, she took on the additional responsibility of the “DENIC” project, for which the University of Karlsruhe performed the technical engineering responsibilities on behalf of the top German Internet Service Providers (ISPs) until 1999. In her career, Ms. Dolderer has made significant contributions to the design and further development of the domain administration system for the TLD .de. Her expertise on domain administration is recognized not only in Germany but also abroad. She is a member of various international organizations, having served on the board of many of them during her career. Ms. Dolderer has been Acting Treasurer of CENTR (Council of European National Top Level Domain Registries) for the period 2000-2004. Ms. Dolderer received her education at the University of Karlsruhe, where she obtained her degree in informatics/computer science. She was born in Stuttgart in 1962. She is married and has two sons. Michael Everson, based in Westport, Co. Mayo, is an expert in the writing systems of the world. He is active in supporting minority-language communities, especially in the fields of character standardization and internationalization. He is one of the co-authors of the Unicode Standard, and is a Contributing Editor and Irish National Representative to ISO/IEC JTC1/SC2/WG2, the committee responsible for the development and maintenance of the Universal Character Set. He is a linguist, typesetter, and font designer who has contributed to the encoding in of many scripts and characters. In 2005 and 2006 his work to encode the Balinese and N’Ko scripts was supported by UNESCO’s Initiative B@bel programme. Michael was born in Norristown, Pennsylvania in 1963, and moved to Tucson, Arizona at the age of 12. He studied German, Spanish, and French for his B.A. at the University of Arizona (1985), and the History of Religions and Indo-European Linguistics for his M.A. at the University of California, Los Angeles (1988). He moved to Ireland in 1989, and was a Fulbright Scholar in the Faculty of Celtic Studies, University College Dublin (1991). Mr Fattal is chairman and CEO of MINC, and has served as chairman since November 2002 and as CEO since early 2003. He has led MINC’s reform and restructuring since December 2002. He is an Arab American born in Syria and raised in Beirut, Lebanon and has been residing in the west for the last 30 years. Mr Fattal brings vast experience from across many business sectors and industries at international levels ranging from the financial sector, where he worked with major banking institutions in the US to top fortune 500 multinationals specializing in fast moving consumer goods (FMCG), legal, and IT industries. He is an expert in International Market development with specialized expertise across the Middle East, Africa, Europe, North America and the Far East. He is also CEO of International Business Enterprises Limited and a founding member of the Arabic Internet Names Consortium (AINC) and is its acting Executive Director. He also serves on ICANN President’s Advisory Committee for IDNs and has served as President of an Arbitration centre in India for a number of years. He is a graduate of the University of Southern California, with a BS in Business Administration, International Finance and Marketing in 1984, and an MBA in International Business, from California State University at Los Angles in 1987. Mr Fattal was Instrumental in causing many internal policy changes by some large Multinationals headquartered in the US regarding their internal policies and procedures on racism and prejudice after the September 11th attacks. After pursuing Japanese and Chinese studies as well as communication studies (at that time comprising information and documentation studies as well as applied linguistics) at the University of Bonn (1967-1971), he spent two years in Japan for further studies and research on the history of Japanese education (1971-1973). Being a registered court translator for Japanese since 1976 he founded and ran a private language and consultancy service (1977-1980). 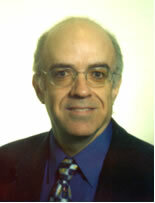 In 1979 he joined the International Information Centre for Terminology (Infoterm) as a scientific staff member and in 1986 succeeded Prof. Felber as Director of Infoterm and also as Secretary of the Technical Committee ISO/TC 37 “Terminology and other language resources” of the International Organization for Standardization (ISO). Since 1986 he has been a driving force behind the foundation of several institutions, networks and organizations in the field of terminology, such as the “International Network for Terminology” (TermNet), “Association for Terminology and Knowledge Transfer” (GTW), “International Institute for Terminology Research” (IITF), “East Asia Forum on Terminology” (EAFTerm) etc. at international, regional and national levels. Born on March 30,1934 in La Paz (Bolivia), Iván Guzmán de Rojas graduated from La Paz University (UMSA) as Industrial Engineer in 1959. Between 1959 and 1961 he was granted the Research Scholarship of the Alexander von Humboldt Foundation for postgraduate work at the Strahlungsphysik Institute, Bonn (Germany). From 1962-66, he was project engineer of Consultant Engineers Lahmayer EAG and at the Technological Center of Siemens AG in Erlangen, responsible for design of automatic control and protection systems. From 1967-70 he founded the Instituto de Ciencias Básicas, organized as a BID–UMSA project; professor of applied mathematics at the Institute and professor of Energy Systems at the Industrial Engineering Faculty; technical advisor of the University Planning Committee. From 1970-72 he organized the Centro Nacional de Cómputo, a data processing service for the Bolivian government. From 1972-80 he worked as independent Informatics Consultant for international organizations. During 1980-88 he became privately engaged in Language Engineering R&D; he designed and developed the multilingual translator ATAMIRI; the first prototype was presented in March 1985, in Washington at the Organization of American States headquarters. He implemented ATAMIRI at the Translation Center of the Panama Canal Commission for massive document translation from English into Spanish. He also conducted language implementations at Wang’s translation centers in France, Germany and Holland. From 1991 to 2001 he was elected by the Bolivian National Congress as Vocal of the Corte Nacional Electoral. He was President of the Informatics Commission of the CNE and conducted the Electoral System Informatics Project. From 2001-02 under the auspices of Unión Latina, Paris, and Neotec, La Paz, he implemented Romanian in ATAMIRI; the prototype was presented operating on-line in Internet before the Unión Latina and before the General Delegation of the French language; he also launched in Internet the multilingual messenger QOPUCHAWI and the virtual forum AYNISIWI using the translator engine ATAMIRI. He is now working on the implemention of Catalán for Atlas de la Diversidad, Barcelona, and continues as independent consultant. He was Chairman of Asia & Pacific Internet Association during 2000-2001. From 1999, he was a member of Names Council of ICANN Domain Name Supporting Organization for 2 years as one of the representatives from ISP Constituency. When JPRS was established as a .JP ccTLD registry in 2001, he joined JPRS as a Director and has been responsible for business planning and development including IDN deployment. He has been involved in IDN development and deployment for more than five yeas since then. He was a primary author of ITU Briefing Paper in Joint ITU / WIPO Symposium on Multilingual Domain Names held in December 2001. He was a member of Japanese Domain Names Association, ICANN IDN registry implementation committee, ICANN President's Advisory Committee for IDNs, and other IDN related organizations. Born in 1957. Fay is a legal liabilities insurance underwriter by professional training. She has worked in the internet community since 1995.She was the first General Manager of CENTR from 1999 to 2001 and has recently returned. In the intervening period she worked at Nominet, the.uk registry on a 12 month feasibility study into improving standards in the domain name registration industry. She was subsequently elected to the board where she continues to serve as a non-executive director. As a consultant Fay has worked with other registries on best practice and worked on a number of bids for new top-level domain registries. She was engaged by EURid to write the successful .eu bid and returned as Project Manager liaising with ICANN and the European Commission on contractual issues and drafting rules procedures for the new .eu registry. Born in 1949, dipl. El. Ing. FH/STV/EUR-ING. Worked for the Swiss Broadcasting Corporation in Bern and Willi Studer AG, Regensdorf, as development engineer and project leader for professional digital audio equipment and assistant to the CTO before joining SWITCH, The Swiss Education and Research Network, Zurich, in 1991. Held several assignments at SWITCH – from management of various early e-mail services to the operation of an NNTP Network – until late 1995, when tasked with starting Internet domain name registration services at SWITCH. Since then in the management of Internet domain name registration services, the latest appointments being manager for special projects (ENUM, new Top Level Domains etc.) and International Relations. Mr. Kane is the Director of Business Operations and Policy within VeriSign's Naming Services business unit which includes responsibility for the IDN programs within the com, net, tv and cc registries. Mr. Kane has beem responsible for the IDN program at VeriSign since the com and net launch in November of 2000. Previous to VeriSign, Mr. Kane was a Senior Principal with American Management Systems (AMS) for three years serving as an Engagement Manager deploying tax fraud identification systems for state and local governments. Prior to AMS, Mr. Kane spent fifteen years with Electronic Data Systems (EDS) as an Account Manager, Systems Engineering Manager and Systems Engineer managing outsourced IT engagements in the Oil and Chemical industries, Healthcare Services and Federal, State and Local Governments. Cary Karp is the President and CEO of the Museum Domain Management Association, the sponsoring organization for the dotMuseum top-level domain. He is the Director of Internet Strategy and Technology at the Swedish Museum of Natural History and serves in the same capacity for the International Council of Museums. He holds a PhD in musicology from Uppsala University where he is Associate Professor of Organology. Dr. Karp is involved in action toward establishing further TLDs equivalent to dotMuseum for other segments of the heritage management sector, furthering collaborative action within that community onto the Internet. When IDNA was released, dotMuseum was among the first generic TLDs to provide the corresponding service. Karp is active in developing the potential of IDN for designating cultural activity that spans geopolitical boundaries, with particular regard to the intangible heritage of indigenous populations. Mr. Désiré KARYABWITE is the IP (Internet Protocol) Coordinator of the E-Strategy Unit at the ITU Telecommunication Development Bureau (BDT). Since 1989, he has played a leading role in the field of technology transfer and in the Introduction of Internet/Intranet in High Technologies Enterprises in Switzerland and in several African countries. In 1997, he started to work with the ITU as Expert in Telecommunication Management Information Systems and IP-based Networks. Now, he is managing IP activities and assisting developing countries in setting up their IP-based networks and VoIP (Voice over Internet Protocol) technology, policies and strategies. He has published several handbooks and documents on strategies relating to communication systems and access technologies, has participated in international panels and organized IP Telephony, e-services - applications and related events worldwide. Before joining ITU, he was a member and President of IDM (Ingénieurs du Monde, Sector member of ITU in Switzerland), Internet Coordinator at Synergies Africa in Geneva, Switzerland. He also worked with Northrop Grumman, Maryland, USA, as Coordinator of “Air Traffic Management System and Radio Access project” for Rwanda, and after that as Chief Executive Officer a.i. for RITA (Rwanda Information Technology Authority) and Permanent Representative of Rwanda in ITU. He was born in Rwanda in December 1963. He graduated from EPFL- Ecole Polytechnique Fédérale de Lausanne (Switzerland Federal Institute of Technology) as Electrical and Communication Engineer and he is also qualified in “Management of High Technologies” from EPFL. CEO, Domain The Net Technologies Ltd.
Yoav Keren, is the CEO and Co-founder of Domain The Net Technologies Ltd., the leading domain name registrar in Israel (ICANN accredited), that provides services to most of the Israeli ISPs and Israel's leading companies. Domain The Net also provides other Internet services such as Brand Security services and anti-Pharming solutions, and has a subsidiary that provides web development and Search Engine Optimization services. Yoav is a former Senior Advisor to Minister Haim Ramon, of the Israeli government. He was the Minister’s parliamentary, economics and media advisor for more than 4 years. Among other public offices, Yoav was the President of the Tel-Aviv University Student Council. Yoav was the Head of the Technology branch of the Israeli military's Information Security Department. He holds an MBA from the Kellogg School of Management (Northwestern University) & the Recanati School of Business Administration (Tel-Aviv University), and a B.A. in Economics and Physics from the Tel-Aviv University, with additional studies in Computer Science. Kyung-il Kim is in charge of strategic alliance team as well as standardization activities for Netpia.com, one of the pioneers and leading service providers of multilingual Internet keyword. Before he joined Netpia.com in 2005, he received MBA degree from McCombs School of Business of the University of Texas at Austin, where he concentrated in IT marketing. He started his career in 1994 with Locus Corp., a Mobile Internet and enterprise communication solution provider in Korea, where he was responsible for the business development and strategic planning. In addition, he played various roles from technical support to product management. He received B.S. in electronic engineering from Yonsei University, Seoul, Korea (1993). John C. KLENSIN is an independent consultant, focusing primarily on Internet standards, application protocols, and their implementations and deployment. Formerly, he was Internet Architecture Vice President at AT&T Labs and Distinguished Engineering Fellow at MCI. He served as a member and then Chair of the Internet Architecture Board from 1996 to 2002 and, before that, as Area Director for Applications of the Internet Engineering Task Force (IETF), chair of its working group on electronic mail transport extensions, and in several other capacities. He has had significant responsibility for the present generation of Internet applications standards, as well as standards work in other areas. He served as a member of ANSI's Information Systems Standards Board from 1986 to 2000, and was its Vice Chair for two years. His involvement with the Internet began about 1970, when he participated in the effort that created the file transfer protocol (FTP) and that made the decision to include electronic mail capability in the network's design. Klensin was on the permanent research staff at Massachusetts Institute of Technology (MIT) for about 25 years, participating in or directing a wide variety of projects, many of them involving the application or development of computer networking or related technologies to applied problems including measurement of mass media use and impact, taxation policy, automatic indexing of natural language texts, management of statistical databases, statistical computing, and urban development planning. Dr. Klensin has also been involved with international development work with a United Nations University project on food composition data, archives of images in Islamic architecture, assistance to UNDP on Latin American networking in the 1980s, and as co-founder of the Network Startup Resource Center. He holds a Ph.D. from MIT in computer applications and use in the social and policy sciences. Born and raised in Turkey, studied Electrical Engineering and has an MSc degree in Computer Science from the Middle East Technical University in Ankara, Turkey. Worked in Unisys Canada for six years in various technical positions. Back to Turkey, work for the Koc Group' technology and system integration company, KocSistem. In KocSistem, for fifteen years took on numerous management positions first in support groups and then moved on to sales management. Following KocSistem, after a short period with another system integration company Oyak Teknoloji, started working on the NLIA project in Turkey. Has been a board member and CEO of Netpia Turkey since the company’s establishment in April 2005. 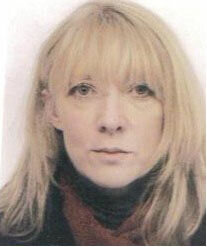 Board member of the NLI Consortium since November 2005. Viola Krebs is the Founder and Secretary-General of ICVolunteers an international non-governmental organization that recruits, trains and coordinates volunteers for non-profit projects in the field of communications (conferences, cybervolunteerism and language services). Socio-linguist by training, Viola Krebs has experience with the conception, launch and evaluation of projects in the field of communications and media, including in a development context (Africa and Latin America). She is also the Vice-President of Informaticiens Sans Frontières (ISF) and was the focal point of the Civil Society Bureau "Volunteer Family" of the World Summit on the Information Society (WSIS), held in Geneva in 2003 and Tunis 2005. In the past, she worked in the public and private sector, including for People Living with HIV/AIDS (PWA), the World Economic Forum and Merrill Lynch. Viola Krebs is a Swiss national and holds a Masters in Communications and Media, a Bachelor in Socio-Linguistics, Spanish and English of the University of Geneva. She is now working on a Ph.D. focusing on the impact of the Internet on volunteers and volunteerism. Elizabeth Longworth was born in New Zealand and holds a Bachelor of Laws degree (LLB) from Victoria University of Wellington, New Zealand (1977). Working with UNESCO since 2003, she currently is Director Information Society Division , Secretary of the IFAP Council. In 1979, she was called to the bar of the High Court of New Zealand as a Barrister and Solicitor. She also holds a Master of Laws degree (LLM) awarded by Osgoode Hall Law School, York University, Canada. Mr. S. Maniam has been active internationally in Tamil computing initiatives since the early 90’s. He was originally involved with developing the first Tamil Keyboard in Singapore and subsequently was a co-founder of INFITT – the International Forum for Information Technology in Tamil, an organization dedicated to keep the 4000+ year old Tamil language computationally relevant as well as enable the 70M+ Tamil speakers to use the Internet. Within INFITT, after a multi-year coordination between Tamils from several countries where the Tamil Diaspora have settled, he has championed the introduction of the Tamil language into Microsoft Windows platform recently. In addition, as the INFITT Working Group chairman for Tamil IDNs he has been instrumental in coordinating the selection and launching of such TLDs in the Tamil-speaking countries. Over the years he has worked in the Tamil computing industry in Singapore, Malaysia and India both for other companies and now as an entrepreneur running his own firm. He has also been a very active volunteer in promoting the use of Tamil computing amongst less-privileged school children from the Indian community in Singapore and Malaysia. Cláudio Menezes has a MSc in Computer Sciences by the Universidad Federal de Rio de Janeiro (COPPE/UFRJ) and B. Sc in Mechanical Engineer by the Universidad Federal de Ceará (UFC), both in Brazil. With UNESCO since 1987, where he presently is a Senior Programme Specialist in charge of multilingualism in the digital world, promotion of ICT and persons with disabilities, access to scientific digital information, e-governance at local level, and implementation of extra-budgetary projects. His long IT career includes academic activities; planning activities in the Brazilian Government; and international cooperation activities in UNESCO. Before joining UNESCO, he was a professor with the Department of Computer Sciences of the Universidad Federal de Ceará, Head of the Computer Centre of the same University, officer of the Ministry of Science and Technology (Informatics Policies) and Chief of Division of a regional development bank (Department of Information Technology) in Brazil. Jean-François C. Morfin was born in 1944. He firstly entered into a naval career in communications. Thereafter, he acquired international business experience in the high-tch and commerce domains. He joined Tymnet in 1978 to pioneer the international packet switch system. He created Intlnet, he still chairs, to support its sharing, under various technologies, by public operators and private networks. Until 1986, his responsibilities included sales and engineering, international agreements, naming and numbering plans, and the Internet public interconnect. From 1984 onwards, he grouped Tymnet's international relations, network embedded intelligent services, as well as the related R&D under the concept of Extended Services. For the last twenty years, through applied R&D, project management, reference information services, governance assistance, and intergovernance actions he validated a user-centric, intelligent network model. He is focussed on experimenting and lobbying in order to see it applied. He is a graduate from the French Naval Academy. He has degrees in Electronic engineering and Literature, and trained in Public and Business Administration. Krzysztof Olesik was born in 1972 in Warsaw, Poland. In 1999 acquired a Master of Science degree at Warsaw University Of Technology. Since 2000 has been working for NASK (Research and Academic Computer Network) as a DNS Administrator. From 2002 he is in charge of IDN project at NASK. Daniel Pimienta was born in Morocco, read Applied Mathematics in Nice and hold a Ph.D. in Computer Sciences. After creating a Software House specialized in APL, he joined IBM France, (La Gaude Laboratory) and worked 12 years as Telecommunication System Architect and Planner, participating in voice/data integration products, videotex and OSI protocol testing. In 1988, he joined Union Latina, in Santo Domingo, as Scientific Advisor and Head of REDALC project, focusing ICT for development. With the support of European Union and Unesco, his team designed the first PC based multilingual interface to networks (MULBRI 1989) and built (and operated) Research and NGO networks in various LA&C countries: Peru (1991), Dominican Republic (1992) and Haiti (1993). En 1993, he launched the Foundation Networks & Development (FUNREDES). Managing virtual communities, sensitizing and educating users, elaborating multi-stakeholders strategies, experimenting appropriate methodologies for sustainable development. Daniel Pimienta is an international speaker and writer on ICT4D and is an active civil society actor in the World Summit of Information Society (wsis.funredes.org) as well as an obstinate promoter of institutional and professional collaboration in LA&C (redistic.org). A coordinating expert of the Alliance of the “Three Linguistic Spaces”, he is member, for the Caribbean, of the expert committee for the Francophone Virtual University and of the steering committee of GCNP and EUROLATIS. Member of Argentina Academy of Arts & Communication Science, he has been nominated for the 2003 World Technology Award for Ethics and Innovation in Technology. 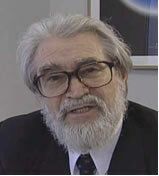 Louis POUZIN is one of the pioneers in computer communications. He designed and directed the development of the Cyclades network in France, the first to use datagrams and matching end-to-end protocols, later adopted by internet. He is now retired and contributes to several associations and working groups related to internet development. He received the IFIP Silver Core, the ACM SIGCOMM and the IEEE Internet awards. He graduated from Ecole Polytechnique in Paris, and has published 82 articles and a book on computer networks. Daniel Prado est le Directeur du Département terminologie et industries de la langue de l’Union latine, Organisation intergouvernementale composée de 35 États et qui a pour mission de diffuser et de faire la promotion des langues et cultures latines. Daniel Prado est chargé d’encourager la modernisation des langues parlées dans les pays latins par le biais d’actions de promotion des langues romanes dans la Société de la connaissance, en soutenant l’enrichissement des vocabulaires spécialisés en langues néolatines et en faisant la promotion des industries de la langue susceptibles de favoriser l’essor des langues parlées dans les pays latins. Born in 1964 in Damascus, Syria, Imad Sabouni obtained his Engineering degree from the École Nationale Supérieure des Télécommunications de Bretagne (ENST-Br), France in 1987, and his PhD from the Institut National Polytechnique de Grenoble (INP-G), France in 1992. From 1993 to 2003, he worked as researcher and professor at the Higher Institute for Applied Science and Technology (HIAST), Damascus, Syria, and became HIAST Deputy Dean in 2001. In 2003, he moved to the Syrian Telecommunications Establishment (STE) as General Manager where he started an ambitious restructuring program. From 2002 to 2004, he was an active member of the Syrian ICT Strategy Taskforce and participated in the formulation of the National ICT Strategy for Syria, in collaboration with the UNDP and the European Commission. After his term at STE in 2006, he moved back to Damascus University and became advisor to the Minister of Communications and Technology, Syria. 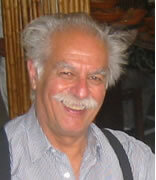 Imad Sabouni is also a member of the Syrian Computer Society (SCS) where he became Deputy Chairman in 2003. His major domains of interest include ICT policies and Strategies, multilinguism, and Arabic content creation. Born on 11 August 1976 in Tehran (Iran), Graduated from Iran University of Science and Technology (IUST) in 2000, From 1995 – 1998, Working as a technical assistant of university’s computer center. From 1998 till now I have been working for Institute for Studies in Theoretical Physics and Mathematics (IPM) as a member of routing and DNS team and head of security team. I have been working as technical manager of IRNIC .ir ccTLD since 2003. I have also been working as IP-Network and VOIP infrastructure consultant of Ministry of Science, Research and Technology and Ministry of Energy of Iran. IDN, ENUM, DNSsec and Internet Telephony are my current projects. Adama Samassékou est né en 1946 au Mali. Il est actuellement, avec rang de Ministre, Président de l’Académie Africaine des Langues (ACALAN). Entre juillet 2002 et décembre 2003, il a occupé le poste de Président du Comité Préparatoire (PrepCom) du Sommet Mondial sur la Société de l’Information (SMSI) pour la phase de Genève. Auparavant, il a été Ministre de l’Education du Mali (1993-2000) et Porte-Parole du Gouvernement (1997-2000). Depuis 2003, il est membre du Haut Conseil de la Francophonie. Très engagé dans la vie associative, il est Président-fondateur du Mouvement des Peuples pour l’Education aux Droits Humains, en association avec PDHRE International, et depuis le 21 octobre 2005, Président de la Fédération Internationale d’ICVolontaires. Monsieur Samassékou a été, sur le plan politique, le Président-fondateur de l’Association ADEMA-France. Titulaire d’un Master en philologie et linguistique de l’Université d’Etat Lomonossov de Moscou, d’un DEA en linguistique africaine de la Sorbonne et d’un DESS de consultation et formation dans les organisations de Paris-IX (Dauphine), il a été Chef du Département de linguistique de l’Institut des Sciences Humaines du Mali, puis Directeur de la Bibliothèque nationale et Conseiller du Ministre chargé de la Culture. Il parle et écrit bamanan (bambara), songay (songhay), fulfulde (peul), français, russe et anglais. Gautam Sengupta received his Ph.D. in linguistics in 1990 from the University of Massachusetts at Amherst and joined the Jawaharlal Nehru University in the same year as Assistant Professor of Linguistics. He was appointed Associate Professor of Applied Linguistics in 1993 and Professor of Applied Linguistics in 2001 at the University of Hyderabad. His areas of research and publication include syntax, semantics, computational linguistics and philosophy of language. In 2003 Dr. Sengupta founded the School of Linguistics & Language Technology at Jadavpur University, Kolkata, and was appointed its first Director. 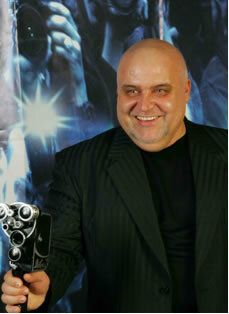 Sergey Sharikov is CEO and founder of Regtime.net Ltd.
Regtime.net Ltd is lead dotRU registrar and first Russian registrar of Cyrillic Language domain names. He and his friends founded this company on 2000 and they initiated Russian language domains registry and first top level domains on Cyrillic. Also Sergey Sharikov is founder and co-chair of Russian Language Network Information Center – registry of full Cyrillic ccTLD domains. Prior to his current business, Sergey spent over 10 years working in large Russian regional ISP Samarainternet Co.
Sergey was elected to Board of MINC in 2004, now he is a Founding Member of The Native Cultures, Languages an Linguistic Advisory Council of MINC. He is Member of Registrar Committee of dotRU Registry. Ayman El-Sherbiny is an international development strategist and management executive in the Telecommunications and Information Technology field, with diverse experiences within the United Nations, private sector and multinational corporations, in countries of West Asia and the gulf region. A co-founder/CEO of several renowned ICT companies in the Middle East, his current responsibilities involve advising Telecom and Information Technology public/private sectors in 13 member states in Western Asia on issues related to Internet Governance, multilingualization of the Internet and ICT industries, in addition to developing and promoting major initiatives aiming at regional integration. A holder of B.Sc. in Telecommunications with honors from Ain-Shams University, Cairo and an MBA in International Business from ESLSCA, Paris. Founding member of the ABIF “Arab Broadband Internet Forum”, the “Arab Domain Names Task Force”, as well as EIEF “Egypt’s International Economic Forum”. S. Subbiah is the Chairman of i-DNS.net, the venture capital -funded spin-off from National University of Singapore (NUS) that championed IDN. A pioneer on IDN, he coined the term “IDN” while being part of the team from NUS that in 1997/8 invented/developed the original IDN technology. Dr. Subbiah has a degree in Mathematical Physics from England and a Ph.D. in Biophysics from Harvard. A published author of peer-reviewed articles primarily in the area of computational biology and bioinformatics, a book, distributed research software and some CDs and contributed to scientific TV programs, he has also founded or co-founded several venture-backed start-ups located in Silicon Valley or Singapore and centered on either Internet/computing technology or biotechnology. Born on 9 May, 1977 in Shandong (China), Wang Feng graduated from Shandong University in 1999. 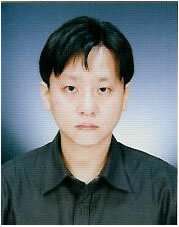 He obtained his Master of Engineering degree in Computer Software and Theory at Computer Network Information Center, Chinese Academy of Sciences (CNIC, CAS) in 2003, and received his Ph.D degree in Computer Architecture at Institute of Computing Technology, Chinese Academy of Sciences (ICT, CAS) in 2005. Mr. Wang joined China Internet Network Information Center (CNNIC) in 2005, in charge of new technology R&D, including CDN, IMA, ENUM, Handle, DNS, RFID and etc. Born 1 January 1962 in Singapore, TAN Tin Wee graduated from Trinity College University of Cambridge in 1985 in the Natural Sciences Tripos, took a Masters in Applied Molecular Biology and Biotechnology in University College London (1986) before obtaining a PhD (Recombinant Chlamydial Vaccines) (1989). Since 1990, he has been with the National University of Singapore in various posts from Lecturer to Associate Professor at the Dept of Biochemistry, Head of Technet Unit, Singapore’s first ISP (1994), Head of Internet Research and Development Unit (IRDU)(1995), Director of Bioinformatics Centre, National University of Singapore (1996), Principal Investigator of the Singapore Advanced Research and Education Network (SINGAREN) (1997), Master, Eusoff Hall (2003), as well as spun off several companies for the university, including i-DNS.net International, Bioinformatrix Pte Ltd, Bioinformatics Technology Group Pte Ltd, Kris Tech, KOOPrime Pte Ltd. He has published widely in Internet technology and Bioinformatics, and pioneered a number of Internet technologies including multilingual Internet and Internationalized Domain Names (IDN) in the 1990s. For his achievements, he has received numerous awards such as MEDINFO’92 Gold Medal, Singapore Youth Award (1994), Japan Chamber of Commerce and Industry Education Award (1997), ASEAN Business Forum Achievement Award in Research and Development (1997), Life Insurance Association Award for contributions to disabled people (1997), Supercomputing’03 High Performance Computing award. 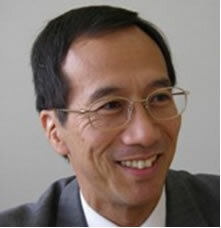 He has co-founded and steered a number of international organisations and conferences including Asia Pacific Advanced Network (APAN), Asia Pacific Networking Group (APNG), Asia Pacific Bioinformatics Network (APBioNet), International Conference on Bioinformatics, S* Life Science Informatics Alliance, ASEAN Science and Technology Research and Education Network Alliance (ASTRENA) and serves on the boards of the Multilingual Internet Names Consortium (MINC), listed company Keppel Telecommunications and Transportation, the International Society for Computational Biology (ISCB) and the International Centre for Disability Resources on the Internet (ICDRI) and the editorial board of several scientific journals. It is in the context of his invention of IDN in 1998 and his continued association with the global IDN movement to multilingualise the Internet for the benefit of the disenfranchised masses that do not use the default Internet language as their native tongue that he will be presenting at this conference. Johannes Christian Wichard, a national of Germany, is Deputy Director of the WIPO Arbitration and Mediation Center and Head of its Legal Development Section. He holds a masters degree from Harvard Law School, a PhD in law from Tübingen University, Germany, and is admitted to the New York Bar. Before joining WIPO in 1998, he was responsible for trademark and unfair competition law in the German Federal Ministry of Justice, and, before that, taught private law and private international law at the Universities of Tübingen and Berlin. Born on 7 March 1950 in Jiangsu (China), Houlin ZHAO graduated from Nanjing University of Posts and Telecommunications (NUPT) in 1975. Between 1979 and 1980, he studied as a visiting scholar in Switzerland. He joined the University of Essex (United Kingdom) in 1984, where he obtained a Master of Science degree in Telematics in 1985. From 1975 to 1986, he worked as an engineer in the Designing Institute of the Chinese Ministry of Posts and Telecommunications (now known as “Ministry of Information Industry” (MII)), responsible for projects in the areas of telex, data communication, non-voice transmission, telephone switching and mobile networks. He took an active part in his country’s experts meetings on national telecommunication standards. He received a second prize in 1985 for his science and technology achievements in the Ministry of Posts and Telecommunications. In addition, his work in the Departments of Planning, Capital Construction and Network Maintenance in the Ministry earned him an engineering project prize for his outstanding performance and contributions in the planning, designing and construction of a number of major national network projects. Between 1982 and 1983, he participated in CCITT Study Group meetings. Mr. Zhao joined the CCITT Secretariat (now TSB) in 1986. Mr. Zhao was elected Director of TSB at the 1998 Plenipotentiary Conference in Minneapolis (USA), and took office on 1 February 1999. Mr. Zhao was re-elected for a second term (2003-2006) as Director of TSB at the 2002 Plenipotentiary Conference in Marrakesh (Morocco).